The leaf epidermis of 19 species representing all four subseries of Cyrtomium， and 15 allied groups was investigated under light microscopy, of which twelve species including types of three subseries of Cyrtomium were observed under scanning electron microscopy. The form of epidermal cells of the Cyrtomium was usually polygonal or irregular, with the anticlinal walls nearly straight, arched, sinuolate, sinuous to sinuate. The stomatal apparatus in all species only existed on the abaxial epidermis. The major stomatal apparatus was anomocytic, while diacytic and polocytic types also occurred in Cyrtomium. The stomata on a single leaf belonged to two or more types in most species. Under SEM, the inner margin of the outer stomatal rim ranged from nearlysmooth to sinuolate or erose, and the cuticular membrane of the leaf epidermis was striated, but sometimes with granula. The present study implied that there are no distinct characters of the leaf epidermis to distinguish and diagnose two series and four subseries of Cyrtomium in Shing′s classification. Amomum contains 150 species, and 39 of them are found in China. Many Amomum species are used in traditional Chinese medicines and favorite food condiment. The intrageneric classification of this genus is largely unclear, and the accurate identification of species is difficult. DNA barcoding is a technique to identify species using standardized DNA region. The COI sequence has been successfully used to identify animal species. Unfortunately, there are no universally accepted barcode systems for plants. This study compared the each three candidate plastid regions (matK, rbcLa, trnHpsbA) and the combined data (matK+rbcLa, matK+trnHpsbA, rbcLa+trnHpsbA, matK+rbcLa+trnHpsbA) among 121 accessions representing 50 species of the genus. In order to screen out the suitable barcode for identifying the species of Amomum, Taxon DNA was used to estimate the barcoding gap between interspecific and intraspecific distances, and BLASTn was used to calculate the rate of correct identification. The results indicated that there was no DNA barcode gap in three loci. The correct identification of matK was higher than that of trnHpsbA or rbcLa, the combined data has higher correct identification than that of single one, and the threelocus combined data showed the greatest level of species discrimination. To sum up, matK+rbcLa+trnHpsbA can be considered as a potential barcode for identifying the species of Amomum. 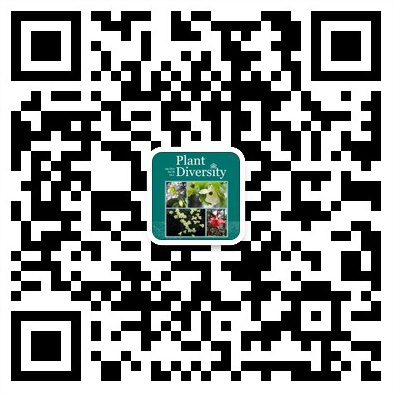 The Chinese Plants reference database (CPRD) is a part of the Scientific Database. The Chinese Plant Names Index (CPNI) is one of the important parts of CPRD, because it is the names index of CPRD and the bridge to other plant databases. Based on the Chinese version and English version of “Flora of China”, the CPNI was constructed with other little reference data. Then, the advantages and disadvantages of the databases of plant names which have been published in the world, the data resources and the construction strategies of the Chinese plant names was discussed. The CPNI is a reference database of the Chinese Plant Names which can be used on studies on plant sciences especially when the names of the plants which are studied on must be ensured. This paper deals with the chromosome number of Trailliaedoxa gracilis, an endemic species to Jinsha river valley for the first time. The chromosome number is 2n=2x=22. Transphosphatidylation denotes the process of the head group exchange in glycerophospholipids which is mediated by Phospholipase D (PLD). This is one of an unique characteristics of PLD and has been well studied in the lipid metabolism, lipid signaling and synthesis of phospholipid of plants, animals and microorganisms. In this paper, the current knowledge on transphosphatidylation, mainly focusing on its catalytic mechanism, substrate specificity, and biological function had been concisely reviewed. Moreover, the future development of this issue had also been discussed. In this paper, we studied the response of photosynthesis and growth in Dendrobium officinale to temperature under the control experiment to provide a theoretical basis for its cultivation. Temperature had a significant effect on the photosynthetic rate (Pn) of Dofficinale. The light saturated photosynthesis at ambient CO2 concentration (Pmax) of the plants were highest at 30℃. High photosynthetic rate at 30℃ were related to the more balance between the maximum rate of electron transport and maximum rate of RuBPmediated carboxylation. Moreover temperature also showed a significant effect on the growth and polysaccharide content of D.officinale′s stem. The polysaccharide content of Dofficinale at 20℃ was significantly higher than that at other temperatures, while the stem length, stem node number, stem fresh weight and stem dry weight were achieved the highest point at 30℃. The results showed that, the temperature of 30℃ was more appropriate for the photosynthesis of Dofficinale, while the plants at 20℃ have higher polysaccharide content. In order to assess genetic diversity and population structure, nine Camellia sinensis var.assamica and three C.taliensis populations from Yunnan, China were evaluated. Based on nucleotide variation of 94 cpDNA RPL32-TRNL sequences, a total of seven distinct haplotypes were detected in the studied populations. It was apparent that C.sinensis var.assamica (h=0.728，π =0.00469) possessed higher levels of genetic diversity than C.taliensis (h =0.610, π =0.00225). However, genetic differentiation among populations of C.sinensis varassamica (Gst=0.580, FST=0.612) was lower than that among C.taliensis populations (Gst=0.696, FST=0.773). 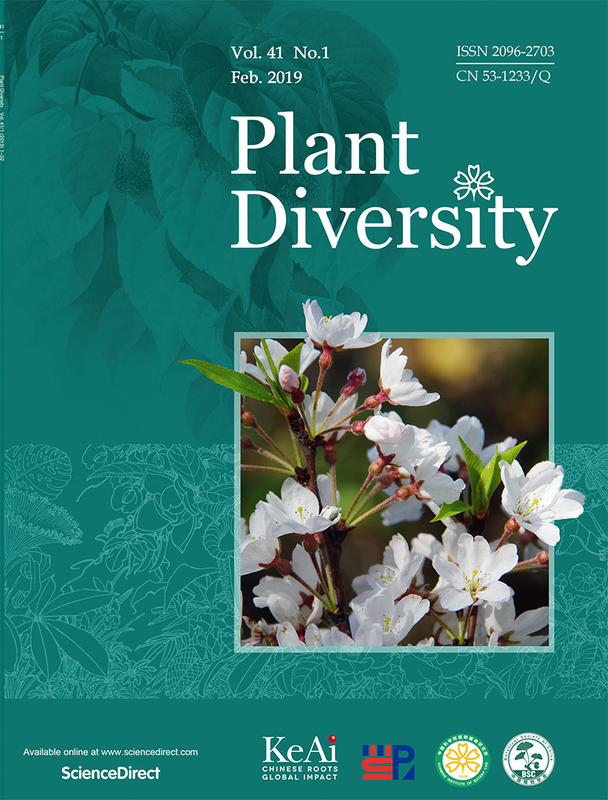 Our AMOVA analysis further revealed that the majority of variation was partitioned among populations of the two taxa, while C.sinensis var.assamica (6121%) showed lower level of genetic differentiation than C.taliensis (77.34%). In comparisons to C.taliensis, genetic diversity within C.sinensis var.assamica largely varied among populations, ranging from 0 to 0.809 and from 0 to 0.00487 for haplotype and nucleotide diversity, respectively. Conservation strategies were finally discussed and proposed to efficiently protect ancient tea plantations in China. In order to show the function of agricultural protection of biodiversity at the level of homegarden, comparative analysis was operated between 20 farmer households through random sampling and farmers recommended in Horqin Left Wing Real Banner Tongliao city Inner Mongolia Autonomous Region and 10 farmer households of the Han nationality in the neighborhood. Thirty sampling plots of homegardens are investigated. The result indicates there are 100 homegarden plants in Bashou village, 84 in Hariwusu livestock farm, and 87 in Gongjihao village. It involves the cultivated and wild vegetables, fruits, and plants used for ornamental, medicine and forage. The comparative analysis of species richness demonstrates, among these villages the species richness of Bashou village is highest, while Hariwusu livestock farm is lowest. The former village contributes greatly to the conservation of plant biodiversity. These differences result from their respectively different natural conditions, homegarden areas, homegarden history, homegarden management conditions, traditional knowledge and culture understanding of homegarden manager, local farmers and herdsmen on homegarden plants.The homegarden plants from the three investigated villages are cataloged preliminary in the end of the paper. Lepidium apetalum was used to explore the characteristics and mechanismes of low temperature tolerance during seed germination. The results showed that pretreatment the seeds at 4℃ would improve the seeds viability after stressed by low temperature at -5℃ and -10℃ and the capability of seeds tolerance to cold temperature became weaker along with germination development. Although the growth of radicle was inhibited significantly at 4℃ during germination, the seeds could still survive and grow. With appropriate time of stratified at 4℃, germination pace would be improved and germination rate would not change, while both of which decreased if stratification lasted too long. Moreover, Lapetalum seeds were very sensible to the temperature during germination. It showed no germination at 4℃, while if seeds were stratificated for 48 hours at 4℃ and subsequently treated with 25℃ for more than 6 hours, seeds would germinate at 4℃ and the germination rate increased with the time of 25℃ treatment prolonged. If treatment at 25℃ was less than 5 houes, it showed no germinating. In addition, seeds with stratification for 10 days following 1 h treatment at 25℃ could also germinated at 4℃. The present study indicated that some pivotal genes that related with a key physiological stage before the onset of radicle protrusion might inhibite at 4℃, which resulted in Lapetalum seed could not germinate at 4℃. Except that physiological stage, the Lapetalum seed had a strong tolerance to low temperature at other germination stages. This experiment provided a new way to explore the germination mechanism of ephemerals plants seeds at low temperature. A new compound, namely isoamericanol B (1), together with 18 known compounds were isolated from the dry leaves and twigs of Elaeagnus lanceolata. The structure of 1 was determined to be rel-(7′Z)-(7β, 8α)3methoxy4, 9′dihydroxy3′, 7epoxy8, 4′oxyneolign7′ene on the basis of detailed spectroscopic analysis. One new Stemona alkaloid, dehydroisostemotinine (1) along with one known alkaloid isostemotinine (2), were isolated from the roots of Stemona tuberosa collected from Yunnan Province. The structure of the new alkaloid was established on the basis of one and twodimensional NMR spectra and other spectroscopic studies. One new lignan, (-)-9′-O-(E)-coumarate5, 5′dimethoxylariciresinol (1), together with one known compound, (+)9′O(E)feruloyl5, 5′dimethoxylariciresinol (2) was isolated from the stem of Cipadessa baccifera. The new structure was elucidated by spectroscopic methods. Select Textual Criticism of Chinese Name of Papaver somniferum L.
A lot of Chinese names of Papaver somniferum L. occurred with time since it was introduced into China more than ten centuries ago. In order to call it by the right name, the confusion of these names in use is discussed and Yingsu is selected as its right Chinese name based upon that expecting the reality to correspond to the name.